The Rudolfinum is one of the most significant neo-renaissance buildings in the Czech Republic. The multi-purpose building is a unique piece of architecture which was built 120 years ago. The Rudolfinum is used for classical music concerts, it is also the home of the Czech Philharmonic. Many concerts of the best musicians both from the Czech Republic and abroad take place here every year. 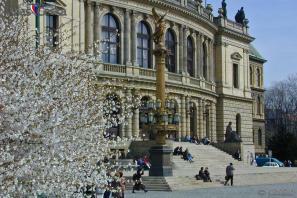 The Rudolfinum is also used for functions, exhibitions, conferences, inaugurations and other special occasions.